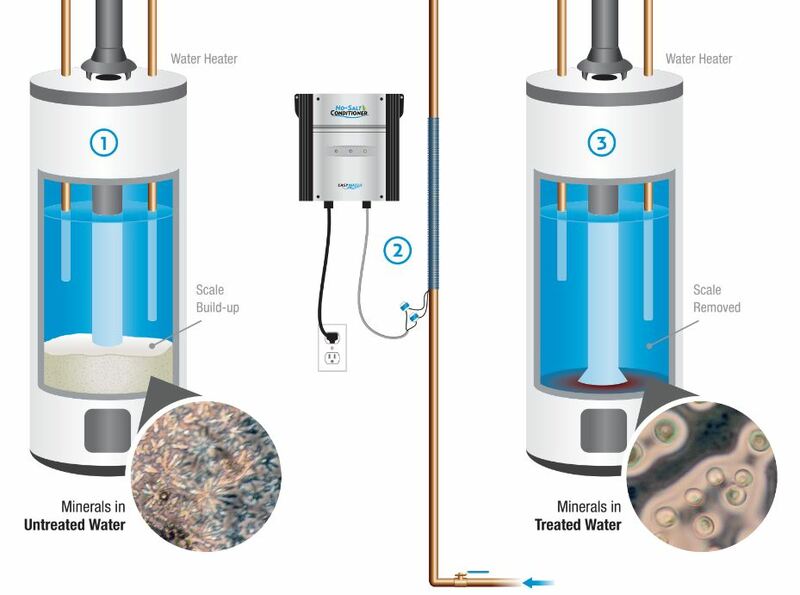 Without treatment, minerals in your water can easily form scale deposits in piping, water heaters and other appliances. Scale build-up significantly decreases the efficiency and life of these appliances. The EasyWater No-Salt Conditioner and treatment coil are configured for your application and installed on your incoming water line. Electronic scale-control frequencies pass through the wall of the pipe and condition all of the water entering your home. Minerals that typically form scale are disrupted by targeted electronic frequen- cies, and physically changed into a state that resists adhering to surfaces and forming hard water scale. Over time, existing scale is removed from areas where the treated water flows. Call or contact today for a customized quote.